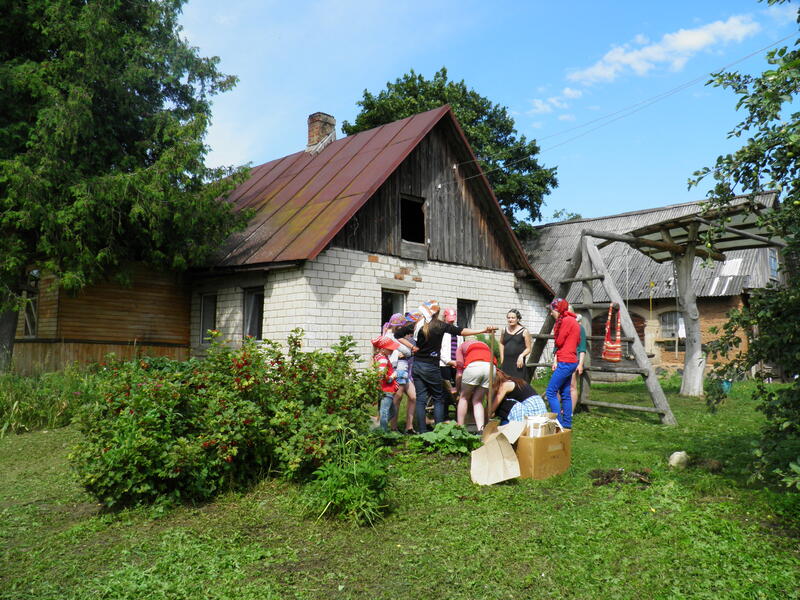 Family permaculture farm “GANENI” is located in the countryside. The farm has a cow, a horse, 10 sheep, a goat, chicken. The owners Ilze and Oskars are creating their own dream landscape and experimenting with various methods of permaculture. Farm provides a practice up to 2 weeks for the volunteers from all around the world. Used methods: potatoes under the straw, traditional building, forest garden, mulching etc.